In its recently released report on the retail property sector, Colliers says that report retailers have streamlined their operations, ramped up their sales campaigns and, in some cases, rationalised their space to meet the changing demand of the new consumer. Eight years on from the global financial crisis, many retailers have streamlined their operations, ramped up their sales campaigns and, in some cases, rationalised their space to meet the changing demand of the new consumer. New Zealand is also receiving more enquiry from international retailers and a select few national retailers are looking to expand their footprint with a more targeted approach. For these retailers, the new strategies being employed – although challenging – are working. However, not all retailers have upped the ante, and some major retail brands have closed their doors for good. This is an important reminder for many to stay focussed and not lose sight of the end game. On the flip side, the closures provide opportunities for other retailers to secure prime spots and employ a better retailing approach. These underlying conditions have given buoyancy to property leasing enquiry and activity. We are seeing occupancy highs in many locations – albeit retailers sticking to basics are the winners. Many retail owners are inspired by the new look and forward facing approach, but are mindful of where the sector sits in the cycle and the added requirements for immersion and interaction required. While interest rates are dragging down inflation and margins, it is keeping rents down and investor purchasing activity high. the rise in new entrants to Wellington and more retailers relocating around the CBD confirms the dramatic upturn in the market’s strength in less than 18 months. The challenge for the sector will be how to keep up with this heightened level of demand. 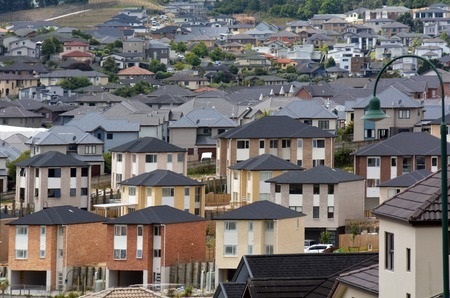 Rents are rising as a consequence of the demand, and investors are eyeing up their next move. Investor confidence is the strongest it’s been this cycle and the future looks bright. trends in regional markets show that retailers sticking to the basics of locating in strong catchments while providing customers with the right product and service levels are experiencing the best outcomes. Landlords are conscious of the difficult trading environment, but are also cognisant of the need to increase returns. At this stage, much of the capital appreciation is from a firming yield environment. While this is expected to continue, rent rises will be a top priority for landlords. A challenging, but positive retail trade environment across the country will be the key driver behind retail stealing a lot of the limelight for the medium-term outlook. a dairy sector that is climbing out of its recent lows. The key for retailer and landlord prosperity will be to not get caught up in the hype and move too far ahead of the day-to-day activities. Perhaps most importantly, remaining grounded in the knowledge of the cyclical nature of economic and property markets. The wise and weary of the industry – many who have seen these conditions before – will be the beneficiaries in the game that involves quick and calculated moves to stay ahead of the competition. Keeping abreast of the latest trends in retail is not everyone’s path to success in this upswing stage of the cycle, especially those looking for passive property returns. While the stakes have been raised by this newly transformed retail industry, some traditional market characteristics will remain. Retailers should expect to have higher rents next year and investors should expect to pay more in this competitive purchasing cycle based on low interest rates and a growing depth in the number of ‘cashed-up’ and ‘yield hungry’ purchasers. While retail is not for the faint hearted, economic conditions currently supporting both retailers and investors suggest there is little to steer the sector from its current growth path.